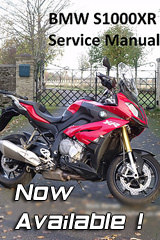 while the Lightech Adjusters only work on the S1000R and S1000RR???? Interesting as the R & RR have similar swingarms, the XR's swingarm is completely different and a lot longer too. Not sure of the axle sizes either. It's to do with the way the Lightec's are fixed to the Swingarm. The Gilles are just bolted at the front as per the OEM blocks. 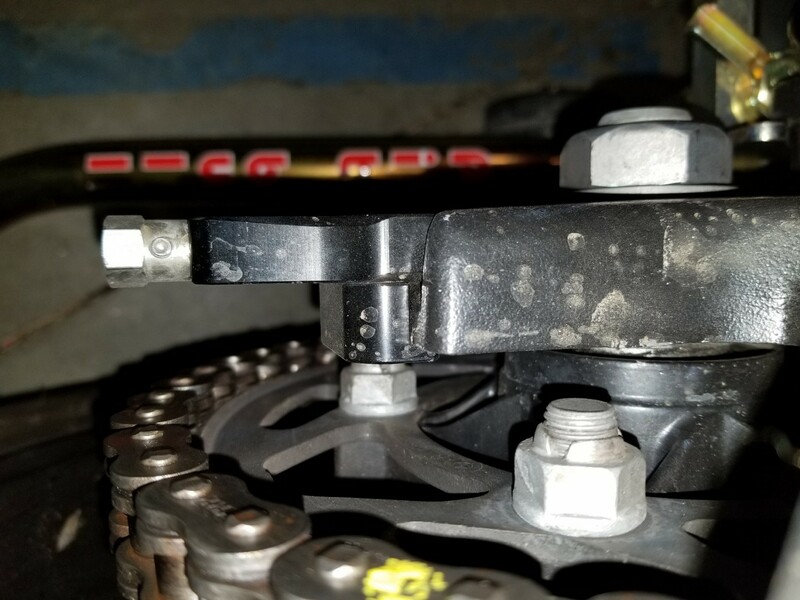 The Lightecs are bolted at the front (as per OEM) , but then also have a section that goes on the inside of the swingarm (at the rear) and this is tightened and in effect clamps the adjuster to the swingarm itself. the real issue is that the tail end of the swing arm on the XR is completely different to the R/RR. Simon, thats what I was wondering. I had Lightech's on my s1000rr and really liked them. I used to be undecided but now i’m not so sure they do look a little OTT and we still can’t get them over here. If you take the 'clamp' part off, the R/RR lightec's fit in the space in the swing-arm. 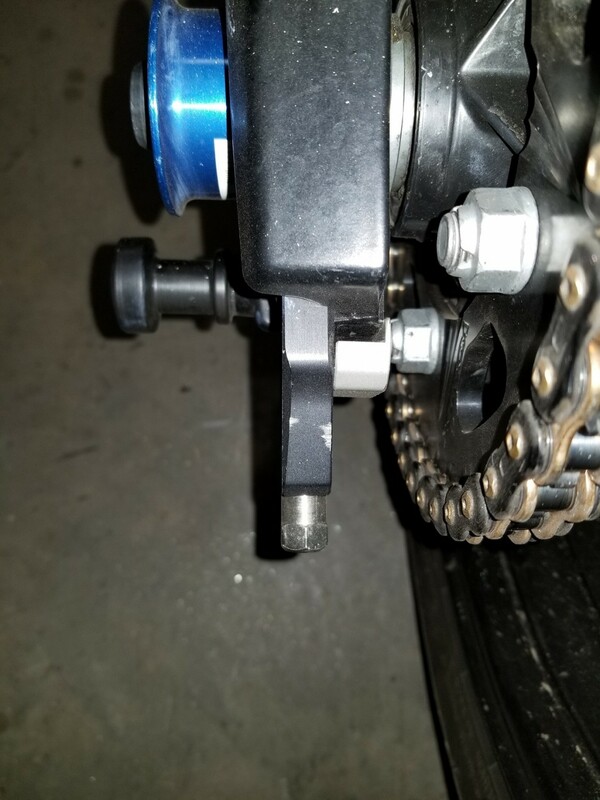 You could probably safely mount them without the clamp(the OEM ones are completely loose, and the Gilles/HP ones are only fixed at the front, as are the Lightec's) and things aren't going anywhere once the axle is torqued to 100Nm. As far as modding goes, you have to cut/grind some of the clamp, unfortunately a little trial and error. I already had a set, so was cheaper than buying Gilles, etc. I know lightech makes different adjusters for different years of the s1000rr. Do you know what year the adjusters you modified, were designed to fit on?